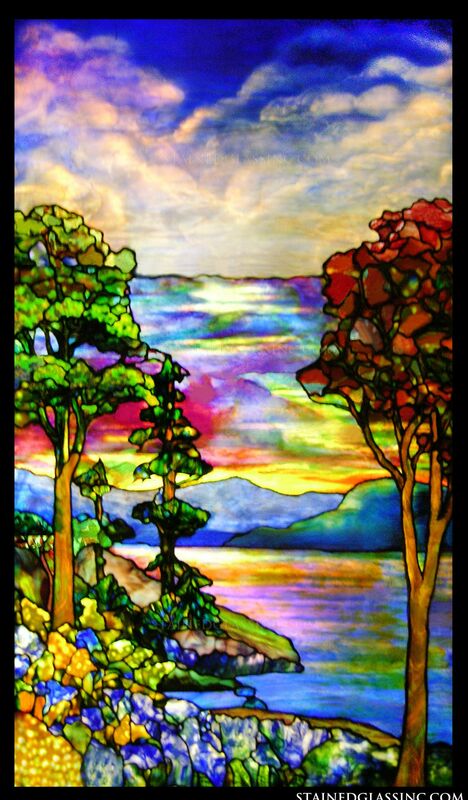 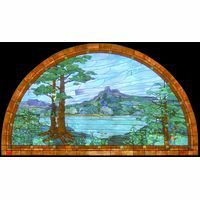 A sky full of a rainbow of colors stretches out above a beautiful, pastoral landscape in this incredible piece of stained glass artwork. 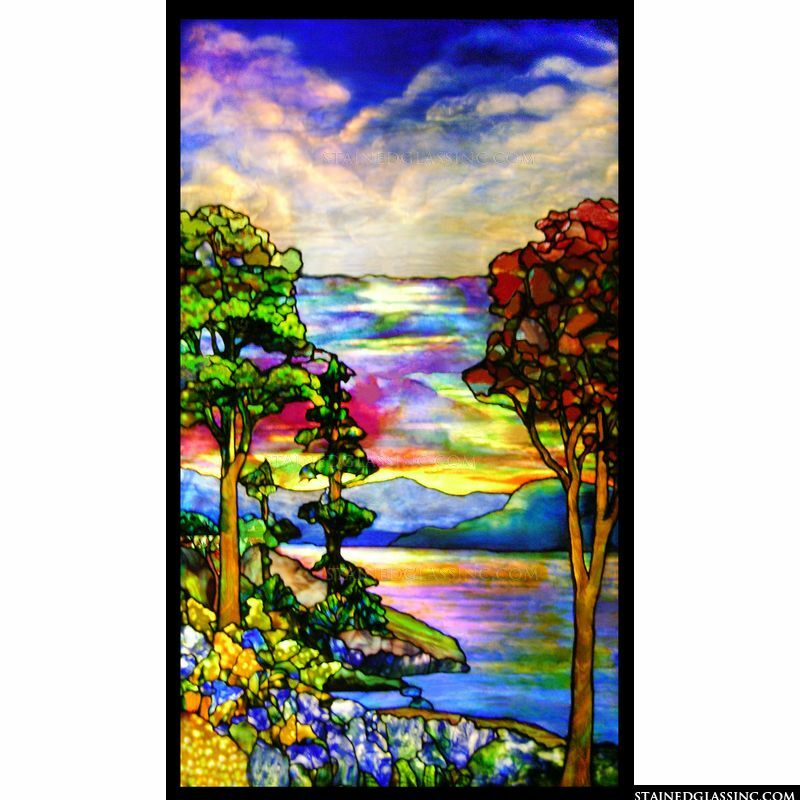 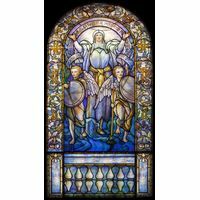 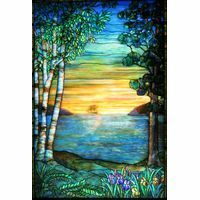 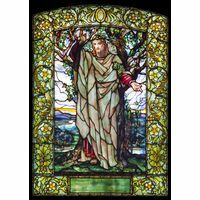 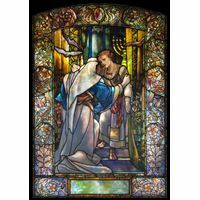 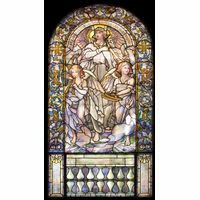 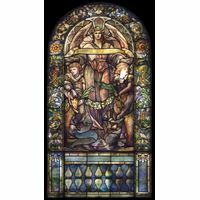 Add this window panel to your decor to bring color and light to any space. 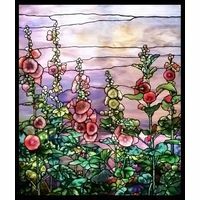 This panel can be used as a hanging sun catcher, door or window insert or any other application you may think of.